Air pollution from natural gas sites in Pennsylvania increased significantly in 2013, the state Department of Environmental Protection says. Emissions from sulfur dioxide, a precursor of acid rain, was up 57 percent from 2012, DEP said. Volatile organic compounds increased 19 percent. 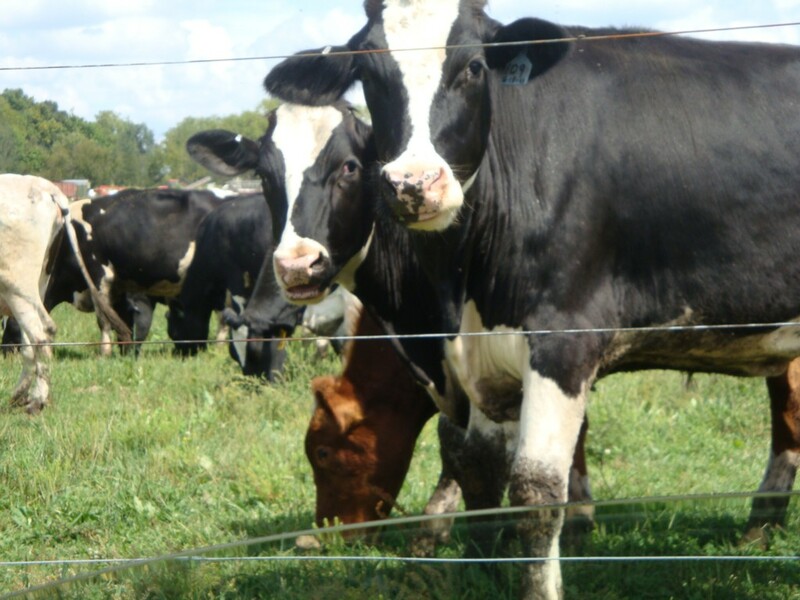 Methane gas, a greenhouse gas, was up 13 percent. Particulate matter (also called soot) was up 12 percent and nitrogen oxides, which form soot, increased 8 percent. The increased emissions were not unexpected as natural gas production and related processing operations were up in the state as compared to 2012, said John Quigley, DEP secretary. Physicians for Social Responsibility has postponed its program on fracking, originally scheduled for March 11 at 7 p.m. at Montgomery County Community College’s Central Campus in Blue Bell. We will provide a new date and time when one becomes available. We apologize for any inconvenience. Blue Bell, PA— Far from the Marcellus Shale fields of southwestern and northeastern Pennsylvania, the Philadelphia region has largely escaped some of the direct impacts from the exploration, drilling, transportation and waste handling from natural gas operations—commonly referred to as fracking. However, a proposal of an energy hub in Philadelphia and new pipelines headed to the region may bring it closer to home. Physicians for Social Responsibility (PSR) Philadelphia will hold a program at Montgomery County Community College on March 11 at 7 p.m. to review the different operations of fracking, the risks of harm to health, and the exponentially higher releases of greenhouse gases that contribute to climate change. The program, which is free of change and open to the public, will be held in MCCC’s Science Center Theater, 340 DeKalb Pike, Blue Bell. PSR is a public health, non-profit organization that provides education, training and direct services and advocacy on issues that threaten health and that medicine cannot cure. Andrea Thomas, MCCC alumna and current graduate student in Arcadia University’s Public Health and Medical Science program and PSR intern, will help participants gain a clear understanding of the ways fracking operations can impact health and the environment. The program is sponsored by MCCC’s Division of Science Technology, Engineering and Mathematics (STEM) in collaboration with MCCC Diversity Faculty Fellow Natasha Patterson. For information, call 215-641-6445. To learn more about Physicians for Social Responsibility, visit http://www.psr.org. Sunlight spilled through a window into Pat West’s darkened kitchen as she filled a glass with water. 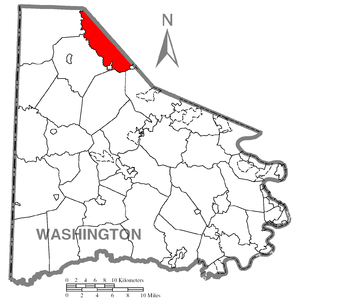 West and her husband, Don, raised 13 children in their two-story house in Millsboro, a hamlet in East Bethlehem, Washington County. Theirs is one of four houses on Harmony Avenue, where the Wests have lived since 1959. Between them and the Monongahela River is Tri-County Joint Municipal Authority, which is under orders from the state Department of Environmental Protection to reduce potentially carcinogenic chemicals in the water it pumps to homes. Since the Marcellus Shale drilling boom started in 2008, seven natural gas wells have been drilled in and around Luzerne and Lackawanna counties. Six of them were plugged when they failed to produce enough gas to market. This week, the seventh — WPX Energy’s Martin well on state Route 487 in Sugarloaf Township, Columbia County, between Ricketts Glen and Benton — will also be shut down for good. “From what I understand, we’re the last well to be plugged,” WPX Energy spokeswoman Susan Oliver said. Chesapeake Energy continued its sell-off of gas drilling operations in the Marcellus and Utica shales Thursday with its biggest withdrawal from Appalachia. Pennsylvania’s biggest shale gas producer agreed to sell 435 shale wells, 1,100 conventional wells and the rights to drill in more than 400,000 acres to Houston-based Southwestern Energy Co. for $5.375 billion. “I certainly think this is consistent with what we’ve seen from Chesapeake,” said Scott Hanold, an energy analyst at RBC Capital Markets. 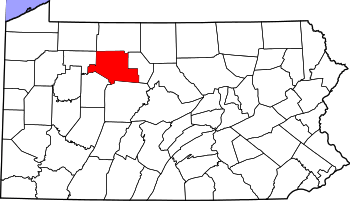 Range Resources Corp. will pay the largest state fine levied against a Pennsylvania shale gas driller and close five drilling wastewater impoundments in Washington County because of leaks into soil and groundwater, officials said on Thursday. The Fort Worth-based company signed an agreement with the state Department of Environmental Protection that requires paying a $4.15 million fine, closing the troubled facilities and rebuilding two impoundments using what regulators call “next generation” technology. Shell Touts Utica Gas Wells In Northern Pa.
Energy companies might have another sweet spot for gas drilling in Pennsylvania. Royal Dutch Shell on Wednesday said two wells it drilled in the Utica shale below Tioga County are producing at levels comparable to the most successful wells in Southeastern Ohio. “This opens a new potential for other drillers to follow Shell’s act,” said Tom Gellrich, founder of TopLine Analytics, a manufacturing consultant specializing in shale gas plays. The energy giant drilled the wells in one of the top-producing Marcellus shale counties, north of Williamsport. But Shell’s Gee and Neal wells are tapping a formation several thousand feet below the better-known Marcellus and were drilled about 100 miles northeast of the closest producing Utica well. Before Bill Iams began raising beef cattle and planting acres of hay on a farm in southern Washington County, five generations worked the soil and raised livestock there. Soon, Iams hopes to ensure the 155 acres in Amwell, which the king of England granted to his ancestors before the American Revolution, remain farmland forever. Iams awaits approval by a state committee to sell development rights to his farm to Washington County through the county’s Farmland Preservation Program, part of a statewide initiative to make certain that fertile land is used for agriculture. HOUSTON — Oil equals boom — especially in population right now. And Texas, in the midst of a significant energy rush, is seeing its towns and cities burst at the seams. Three of the nation’s five fastest-growing cities — and seven of the top 15 — are in the Lone Star State, according to new data from the U.S. Census Bureau, part of a trend across the West largely fueled by an oil boom. Most of the cities are West of the Mississippi. Now these cities need to have enough roads, schools, water and infrastructure to keep up — the growing pains of a surging population. And while it is viewed as opportunity, city planners are frazzled. 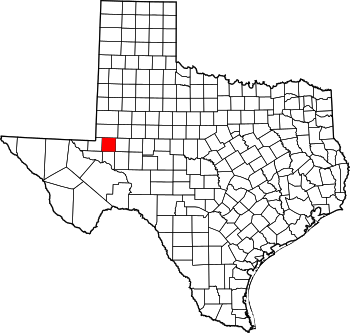 Odessa, Texas, smack-dab in the middle of the oil-rich Permian Basin, is No. 11 on the Census Bureau list. People are flooding the oil fields, booming thanks to new hydraulic fracturing technologies that allow drillers access to once out-of-reach resources. 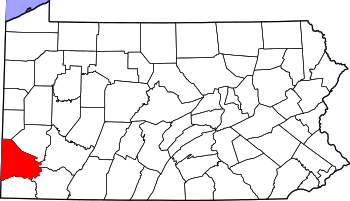 PITTSBURGH (AP) — A small portion of Pennsylvania state forest land has been impacted by shale gas drilling, but many questions remain about how to manage the politically sensitive issue that is opposed by many residents, according to a new report. The 268-page Department of Conservation and Natural Resources report issued this week concluded that “shale-gas production on state forest lands is neither benign nor catastrophic” and that there are clearly impacts and trade-offs. “The question is what trade-offs are acceptable,” the report said. The report found that about 1,486 acres of forest have been converted to various types of drilling-related development since 2008, including roads, well pads, and pipelines, out of about 2.2 million acres in the state forest system. That gas development resulted in 191 infrastructure pads and 104 miles of pipelines. Rodger Kendall says he never wanted to enter politics, but when he did, he waded into one of the biggest political conflicts in Pennsylvania. Kendall became a supervisor in Robinson, Washington County, in January, less than three weeks since it won a landmark state Supreme Court ruling overturning part of new laws aimed at eliminating local obstacles to shale drilling. Despite the win, he used his first night in office, Jan. 6, to lead a vote to remove Robinson from the case. Then he made his first official call as a township supervisor to Range Resources Corp. In one election, voters dumped two of the township’s three supervisors and shifted the township’s position on drilling. 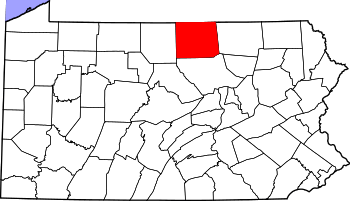 Seneca Resources Corp. has received federal approval to operate a new drilling wastewater injection well in Elk County, and more of those deep injection wells for the disposal of Marcellus and Utica shale gas drilling wastewater are on tap for Pennsylvania. The U.S. Environmental Protection Agency announced last week that it had approved Seneca’s proposal to convert one of its existing vertical gas wells into an injection well that will pump up to 60,000 gallons a day of drilling wastewater and salty brine about 2,400 feet below the surface into the Elk 3 Sandstone formation. That formation is about 1,700 feet below groundwater aquifers that supply residential water to residents of the area, said Karen Johnson, chief of the EPA Region III groundwater and enforcement branch. 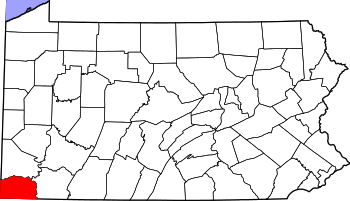 The EPA has permitted 30,000 Class II injection wells for drilling brine and wastewater disposal nationally — about a third of those in Texas — but the Seneca disposal well is just the ninth such well approved in Pennsylvania. A decommissioned underground pipeline that once carried gasoline across the state and through Lancaster County could see new life from the Marcellus shale gas boom. Representatives of Sunoco Inc., of Philadelphia, have recently been in West Cocalico and Clay townships doing site surveys and scouting locations for a pumping station needed as part of a statewide retrofit of the pipeline so that it can transport natural gas to a facility in Delaware. “Mariner East 1 is a project to transport natural gas liquids (NGLs), also called liquefied petroleum gases (LPGs) from the Marcellus and Utica shales in Western Pennsylvania, Ohio and West Virginia to the Marcus Hook Industrial Complex on the Pennsylvania/Delaware border,” Sunoco representative Jeff Shields wrote in an email Nov. 20. The Mariner East 1 project would stretch from a Sunoco facility just outside Houston, Pa., in Chartiers Township, Washington County, to its transportation hub in Marcus Hook, Delaware County, or a distance of about 300 miles.